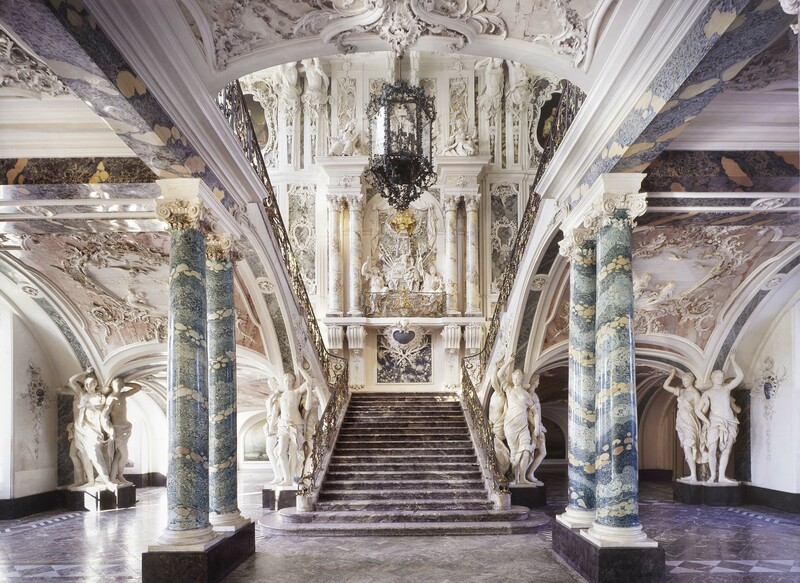 The Brühl Palaces and their gardens and park grounds are not available as location for filming or professional shootings. Exceptions are made for shooting documentaries about art, culture or history of the both the palaces and the gardens only. A special permission has to be required. Photographing is not allowed inside the palaces, including group tours or wedding pictures. In the gardens and park grounds, it is allowed to take wedding pictures – for private purposes only. We kindly insist on you to respect the garden rules. Please note: Any operation of unmanned aerial systems (drones) or other remote-controlled flight models is generally forbidden within the entire area of the palaces Augustusburg and Falkenlust and over the gardens and park grounds.